Though there have been many imposters and opportunists claiming to be traveling to the future over the years, nothing had prepared time-traveling enthusiasts for the depth of future chronicles which John Titor’s predictions precipitated. But whether you have ever believed in the concept of time traveling or not, Titor’s story is one that should not escape your attention. Read on to discover who the alleged time-traveler regarded as one of a kind really was. On the 2nd of November 2000, a man named John Titor took the internet by surprise when he posted an online message claiming to be a time-traveler. On the forum, Titor claimed that he was traveling from the year 2036 and returning home after completing a mission in 1975 where he retrieved an IBM 5100 computer. According to Titor, he was born in 1998 in Tampa, Florida and studied history in college between 2033-2034. He joined the US Army in the year 2029 and was then assigned to join a program made up of seven chrononauts dedicated to time traveling. Titor who later rose to the rank of a Major further claimed that his mission back to the year 1975 was the first of such assignments for him since joining the program. After achieving his 1975 mission, Titor claimed he decided to have a stopover in the year 2000 so as to personally experience the Millenium Bug effects. While in transit, he was opportune to meet his family (including his grandfather and parents who were all still alive at the time). As expected, Titor was only a child in the year 2000 and when he appeared to his family as an adult traveling back from the future, his claims raised mixed reactions. Unsurprisingly, John Titor’s claims on the internet were met with skepticism and debates. While some saw him as just another prankster who wanted to play on gullible minds and time-traveling fans, some others believed his stories and began making attempts to verify his claims. For instance, one of many reasons that sparked a debate among his followers and critics was the fact that after investigations, there seemed to be no truth to the information regarding Titor’s identity and family during that period. Nonetheless, the chrononaut soon assembled a community of followers and believers across the internet. But, one day in 2001, John Titor said goodbye to all with a promise to return to his epoch in 2038 and left his followers to continue with their debate as well as attempt to verify his affirmations, true identity, future events of history, and technology. John Titor claimed to have been born and raised in Florida at a time when the society was experiencing both domestic and global nuclear wars. While people of this time may choose to regard his stories as predictions, for Titor the time-traveler, they were just statements of fact. His affirmations were centred around people’s inability to prevent the disastrous and horrific effects of the conflicts. While some of Titor’s remarks may not have accurately hit the mark, the alleged time-traveler’s postings were amazingly forward thinking. From predicting some scientific breakthroughs to the renewed Middle East conflict as well as the rising tension within the United States, we explore some of Titor’s predictions. 1. On November 4, 2000, Titor wrote that the aftermath of a 2015 world war which killed almost three billion people was that survivors grew closer together. 2. On January 2001, Titor predicted that owing to many conflicts, there will no longer be any other Olympics after 2004 until 2040. While it is only the 2008 Beijing Olympics that almost got canceled since then, this prediction has apparently been completely false. 3. On February 5, 2001, Titor wrote that in preparation for the next war, Iraq had sophisticated nuclear weapons, adding that all his affirmations were since set in motion decades ago. 5. On February 8, 2001, he wrote about the very strange relationship and hostilities between Russia and China. Titor also spoke about China’s confident expansion both economically and scientifically. True to his words, China successfully sent a man to space in October 2003. 6. On 13 February 2001, Titor spoke about an overheating space plane which many would later link as a reference to the 2003 Colombian space shuttle disaster during take-off. 7. 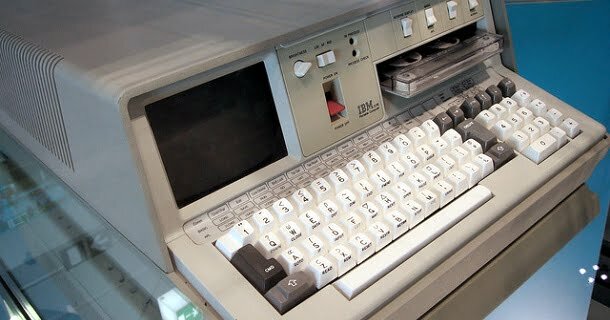 On 15 February 2001, he wrote about the hidden functionality of the IBM 5100 portable computer which was at the time unknown to many. 8. On February 21, 2001, he predicted a growing civil unrest and decline of western civilization, where people will be held without due process. 9. On March 2, 2001, Titor stated that information about time travel was generally made public around the year 2034. According to him, time travel was invented in 2034 and further explained how scientists at CERN made a breakthrough with being able to travel back and forth in time. While many seem to view the concept of time-traveling as just a science myth, Titor’s open facts about the future remain a myriad of interesting but rational incidents which time-traveling enthusiasts will continue to evaluate and reflect on. It is also believed that some of his predictions may have helped change the outcome of major world disasters.